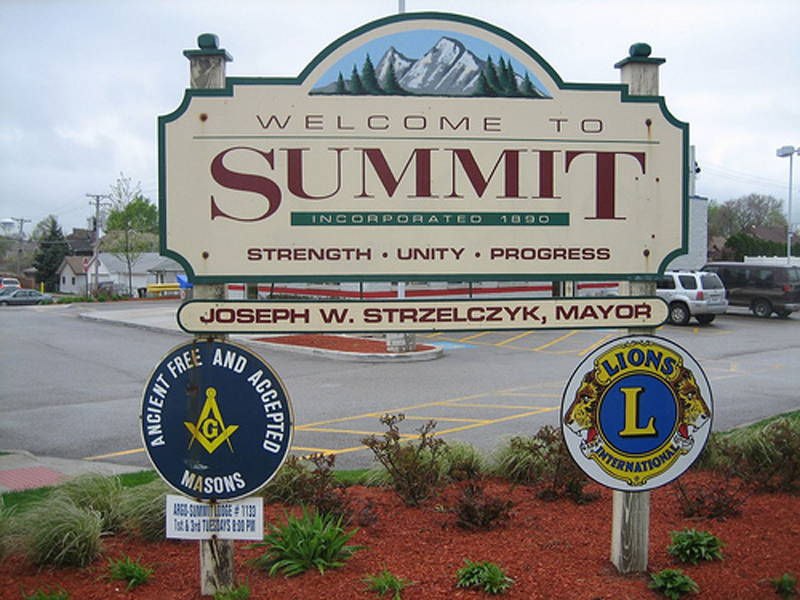 As Local 700 pursues retribution against the Village of Summit for violating the collective bargaining agreement of the Summit Fire Department, members are asking village officials to investigate the actions of the fire chief as part of their downfall claimed by the village. The members of the Summit Fire Department declared a symbolic “vote of no confidence” in part-time Fire Chief Wayne Hanson during a Village of Summit board meeting on Nov. 16. Part of the statement describes Hanson’s lack of action as a safety threat to the community, stating multiple occasions where he failed to respond to emergency situations and the overall negligence of the department’s equipment and staffing levels. Teamsters Local 700 represents 31 hardworking firefighters and paramedics at the Summit Fire Department. The Village of Summit has been threatening to outsource their services to nearby Bedford Park for months. Local 700 filed a complaint on Oct. 27 with the Illinois Labor Relations Board against the Village of Summit for violating the contract and failing to respond to the union’s request for negotiations. Below is the statement read during the Nov. 16 meeting by John Lux, Jr., a Summit firefighter and Local 700 member. -Failure to respond to emergency scenes. Chief Hanson has been present on 7 out of over 2000 emergency calls since his June 2014 appointment. -Failure to alleviate, correct, and/or resolve staffing shortages, in violation of Village ordinance (8-1-1) that have put residents and members lives and safety at risk. -Non-compliance and outright refusal to collect “non-resident fees” as required by Fire Chief per ordinance (8-1-8) on fire equipment related runs to offset operational costs. -Failure to schedule and conduct monthly “officer” meetings in which department guidelines, operating procedures, delegation of duties, pending issues including safety and equipment, and the general good of the department are discussed with shift supervisors. He has held one meeting in February 2015 due to multiple requests from officers, since his June 2014 appointment. -Misrepresenting and/or oblivious to the operational lifespan of Summits equipment, specifically air packs, to members and village officials to create an artificial logistic emergency. Hanson told members and village representatives our air bottles expire this year but upon checking ourselves and the company that services them, they are in fact good till 2019. -Misrepresenting facts about accessibility to loans to replace older vehicles. Chief Hanson told members and village representatives that no such loan exists over a five-year period when members brought up 15-20 year loans for the purchase of a new engine. A one second Google search contradicts his claim and supports ours. -Failure to assume a leadership role and/or “carry a presence” in the department. Chief Hanson is rarely present on a day to day basis, and when available, the time frame is very short, in a lot of cases 30 min or less. -Refusal to address needs of the department and members. -Failure to represent the Village of Summit at monthly MABAS Division 21 Chiefs meetings with it appearing he has not attended a single one in 2015. -Failure to introduce, rectify, or genuinely consider resolutions to correct inefficiencies or problems when presented. -Failure to introduce an operational plan outlining goals and objectives for the future of department. -Failure to promote, assign, or direct workforce to alleviate shift coverage gaps in schedule for employees that are qualified to do the work. -Failure to recognize, determine, and maintain an accurate roster of current members when asked of active status or if still employed by the department. -Misusing fire department personnel to do work outside of collective bargaining agreement and outside of duties of a firefighter to reduce labor costs for a privately owned company that was authorized to do the job, while on taxpayers time. In closing, this decision was not made in haste; we’ve concluded that these ongoing issues have resulted in an irreparable distrust that cannot be overcome. Our members will continue to respect the position of Fire Chief in an operational capacity but not the man currently appointed to it. Hereby the members of the Summit Fire Department respectfully request the Summit Board of Trustees, Village Manager, and Mayor Rodriguez investigate and act upon our concerns that Fire Chief Wayne Hanson has not acted in the best interest of our residents, the Summit Fire Department, and the members that serve them.